The Honda Activa has breached the 2 crore sales milestone in India becoming the first scooter in India to do so. The first 1 crore units were sold in 15 years, while the next one took just 3. Honda Motorcycle and Scooter India (HMSI) has announced that the company's top-selling two-wheeler, the Honda Activa, has recently breached the 2 crore sales mark in India. Evidently, the popular Honda Active is now the first scooter in the country to cross this huge sales milestone. Interestingly enough, it took the Honda 15 years to breach first one crore sales mark, while the next one crore units were sold in just 3 years, which is four times faster than the time taken to acquire the first 1 crore customers. Minoru Kato, President & CEO, Honda Motorcycle & Scooter India Pvt. Ltd. today announced this feat and expressed his gratitude to the 2 crore happy Indian customers, and said "Over 18 years and 5 generations, Honda 2Wheelers India continuously added value to exceed Customers expectations & making Activa the most preferred choice of Indian 2wheeler buyers. We are delighted that Activa partnered over 2 crore Indian families on the move in realizing their dreams. As India's Love for Activa grows, we remain committed to take on new challenges and bring joy to our customers." The Honda Active was first launched in the year 2001, and since then we have seen five generations of the scooter in India. The fifth-gen model, the Honda Activa 5G, was launched this year in February, at the 2018 Auto Expo. The Activa was truly a ground-breaking product from the Japanese two-wheeler manufacturer and it has been the country's top-selling two-wheeler for quite some time now. In fact, in 2017 the Activa becomes not just India's, but the World's largest selling two-wheeler. The current-generation model - Honda Activa 5G, is powered by a 109 cc, single-cylinder engine which puts out 8 bhp at 7,500 rpm and 9 Nm of peak torque at 5,500 rpm. 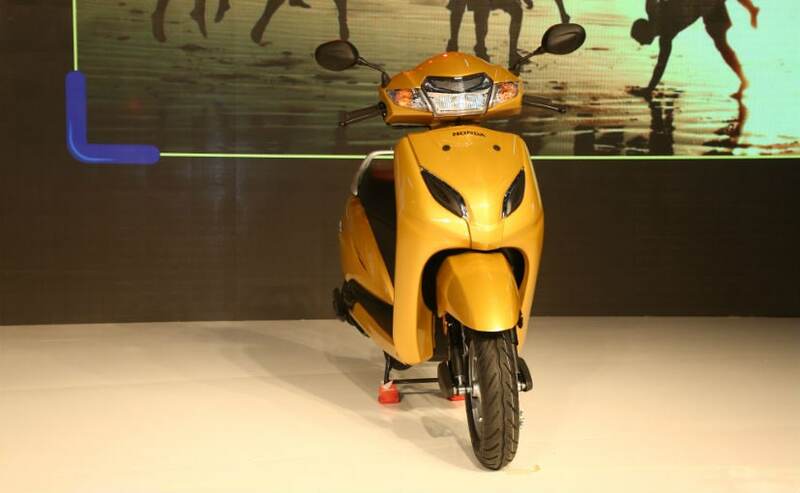 No other scooter on sale in India has been able to come close to the Activa's sales success in its segment. In addition to features like Honda's Combi-break system and HSE technology, the new Activa also comes with a semi-digital instrument cluster with the display showing information like additional service due indicator and ECO options. The scooter also gets a 4-in-1 hook with the seat opener switch like the Grazia and a retractable rear hook.